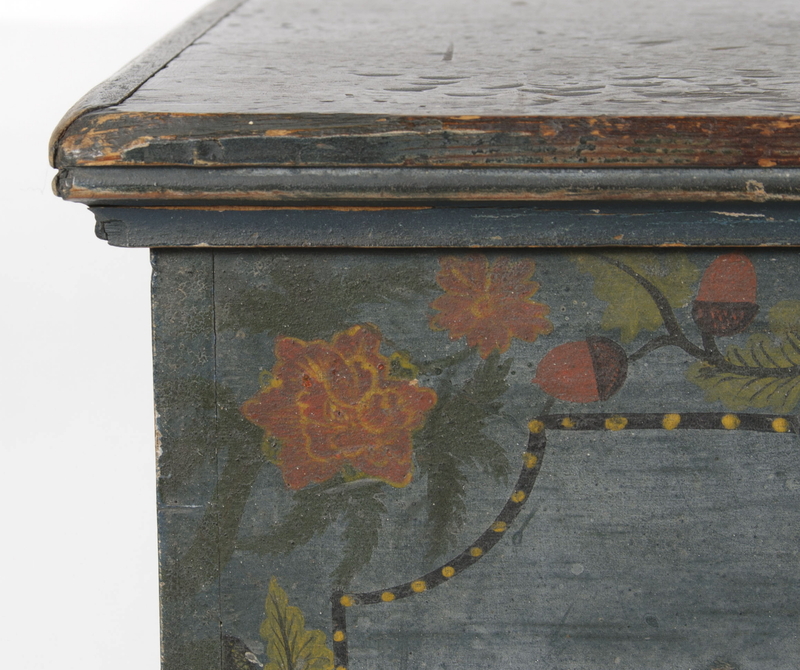 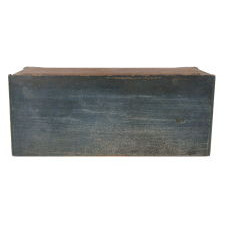 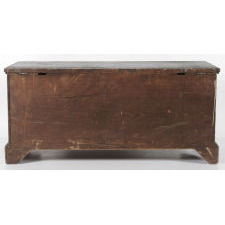 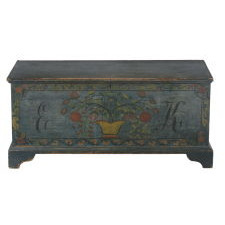 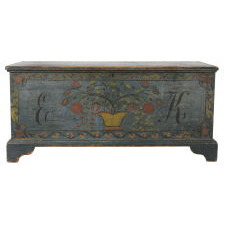 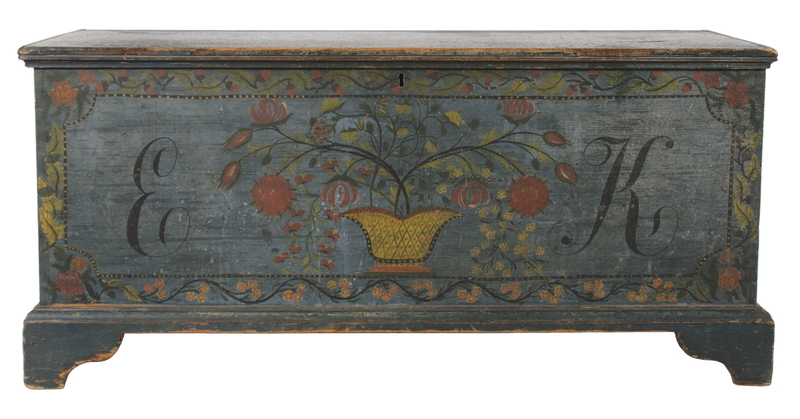 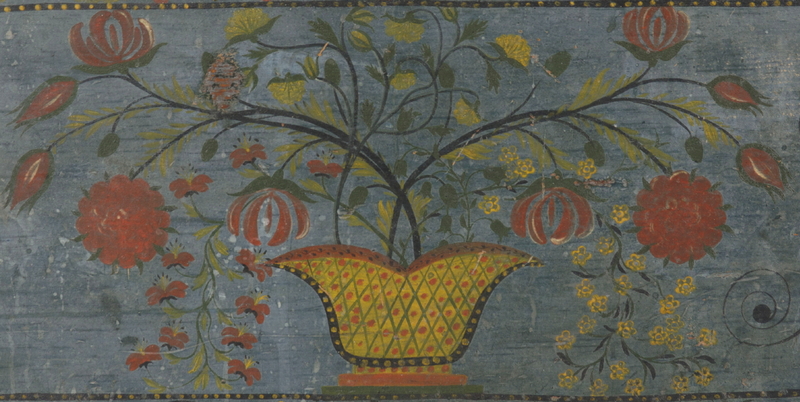 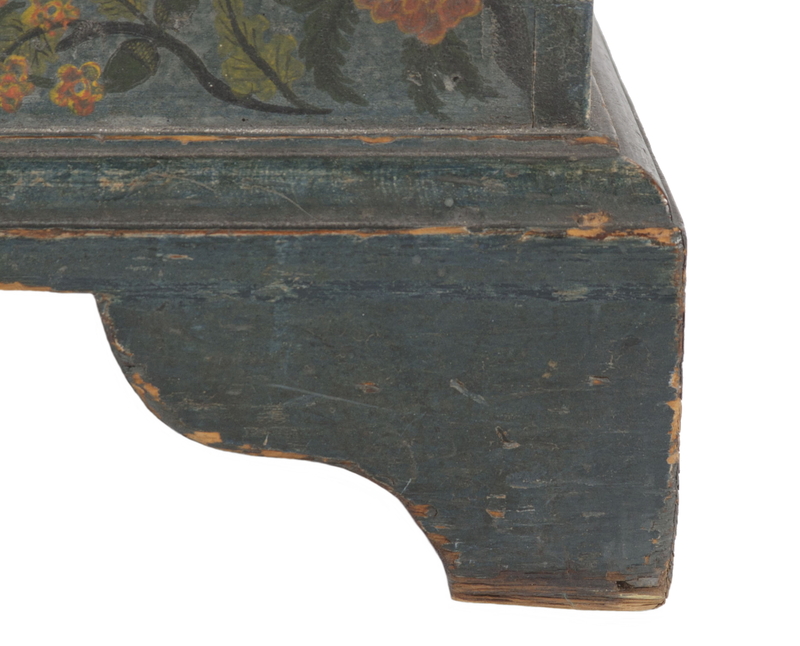 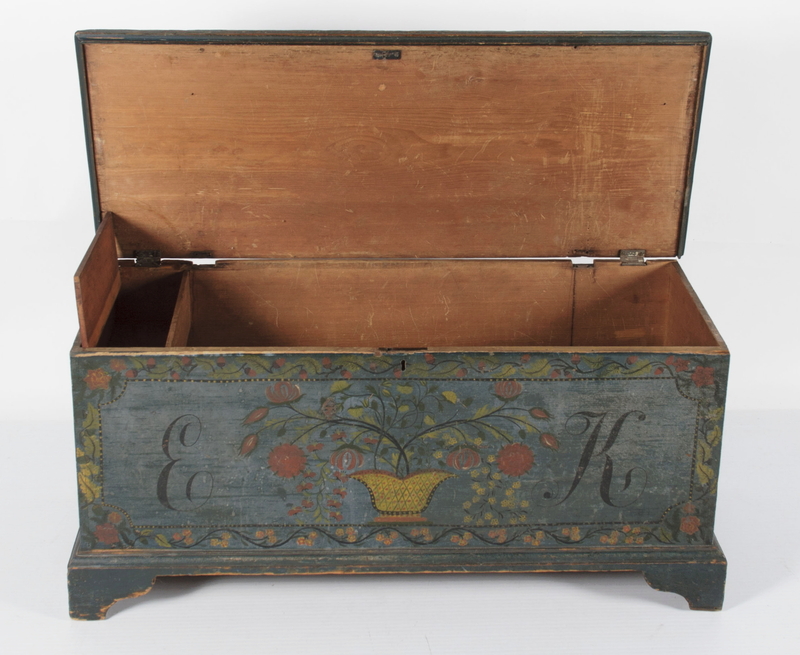 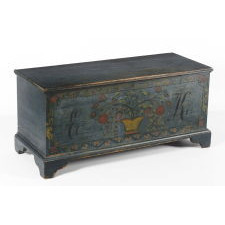 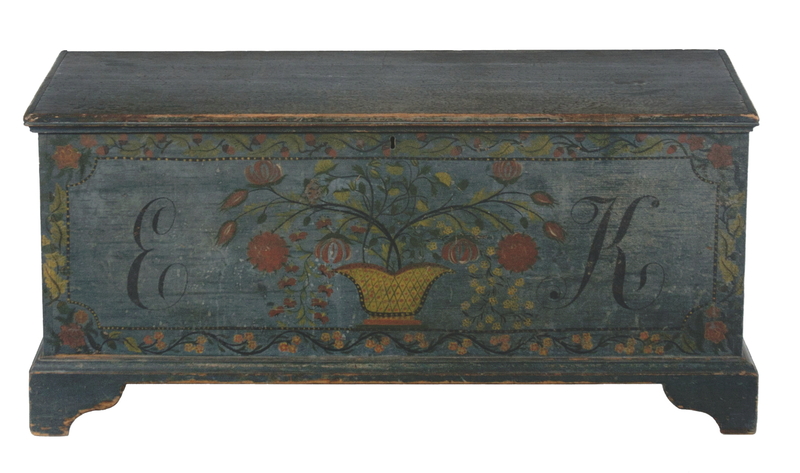 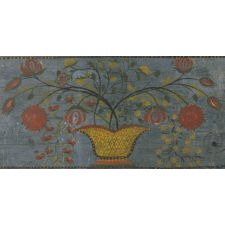 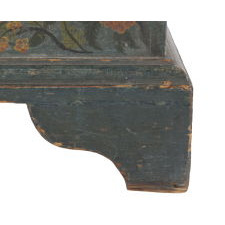 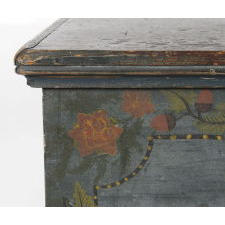 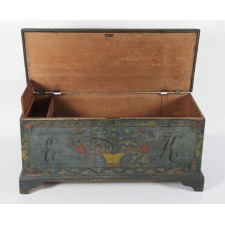 Painted Schoharie County, New York blanket chest, decorated with a beautifully embellished yellow urn of flowers on a blue ground. 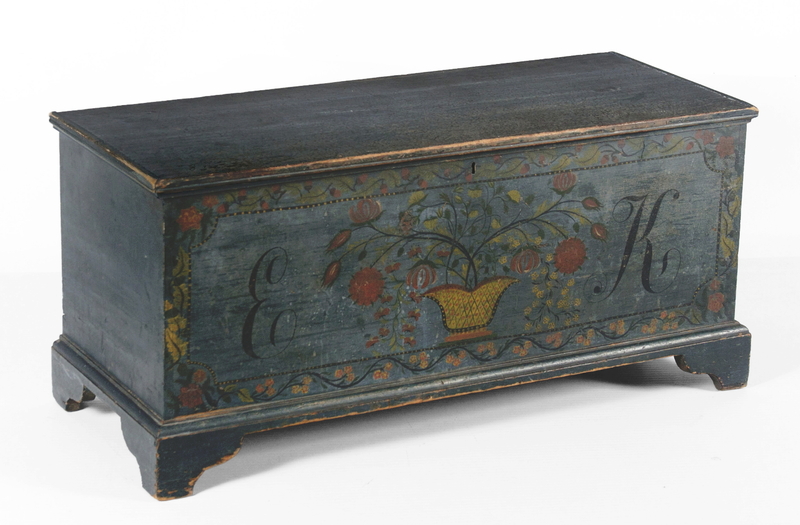 This is traditional fashion of the region, in which the most elaborately decorated New York chests were made, and one of the best examples of it that I have ever seen. 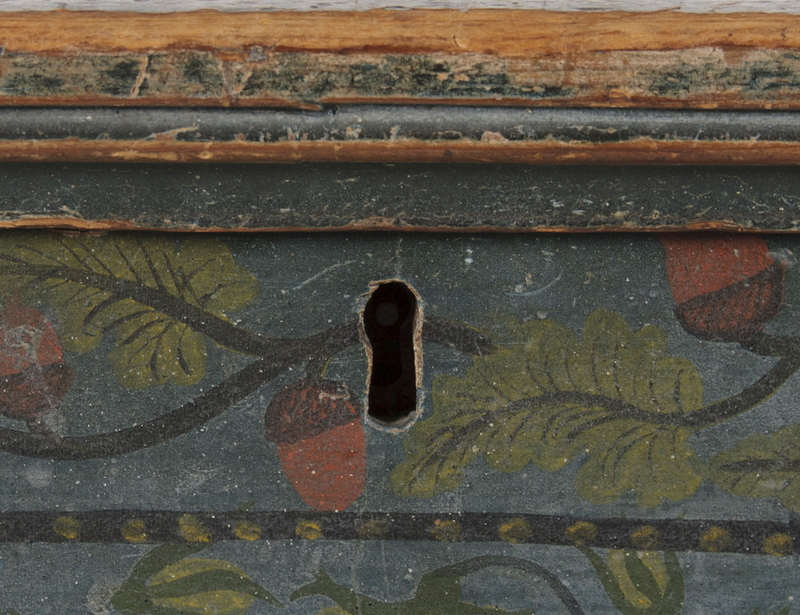 Condition: Two pieces of molding replaced on the lid. 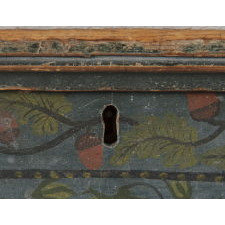 Hinges moved at some point in its history. 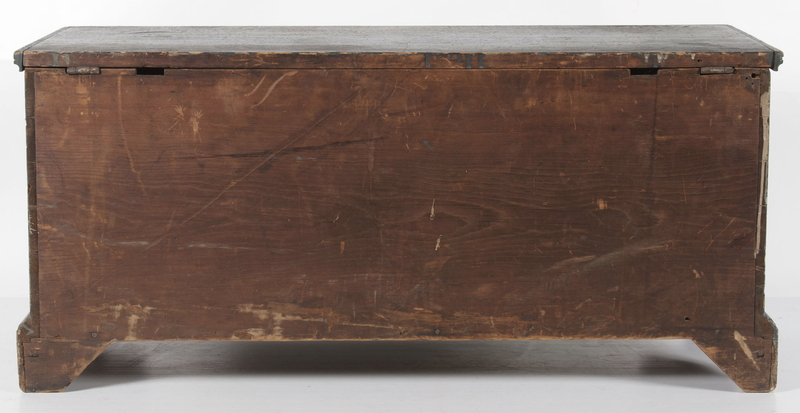 Otherwise untouched.